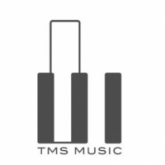 A short description about the company “TMS Entertainment Co., Ltd.” would help many anime and manga fans learn more about this company. 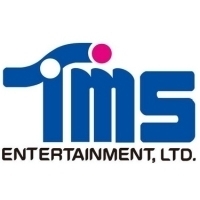 Do you know what “TMS Entertainment Co., Ltd.” is all about? Then feel free to add a description to our database using our entry form. We’re looking forward to your contributions! TV-Series, 12 (2019)Dr. StoneTMS Entertainment Co., Ltd.
TV-Series, 12 (2019)Cinderella NineTMS Entertainment Co., Ltd.
TV-Series, 52 (2019)Fruits BasketTMS Entertainment Co., Ltd.
TV-Series, ? 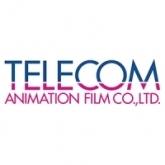 (2019)Neko no NyahhoJinni's Animation Studio, TMS Entertainment Co., Ltd.
TV-Series, ? (2019)Bakugan: Battle PlanetTMS Entertainment Co., Ltd.
CM, 1 (2019)Ryoutei no Aji: Home Sick TogetherJinni's Animation Studio, TMS Entertainment Co., Ltd.
TV-Special, 1 (2019)Lupin Sansei: Goodbye PartnerTMS Entertainment Co., Ltd.
TV-Series, 12 (2019)Meiji Tokyo RenkaTMS Entertainment Co., Ltd.
TV-Series, 12 (2018)Between the Sky and SeaTMS Entertainment Co., Ltd.
TV-Series, 12 (2018)We Rent TsukumogamiTelecom Animation Film Co., Ltd., TMS Entertainment Co., Ltd.